It has been 5 years since Toronto Aboriginal Support Services Council (TASSC) commissioned the Toronto Aboriginal Research Project (TARP) Report was issued. Since that time many of the 58 recommendations are in progress or complete. 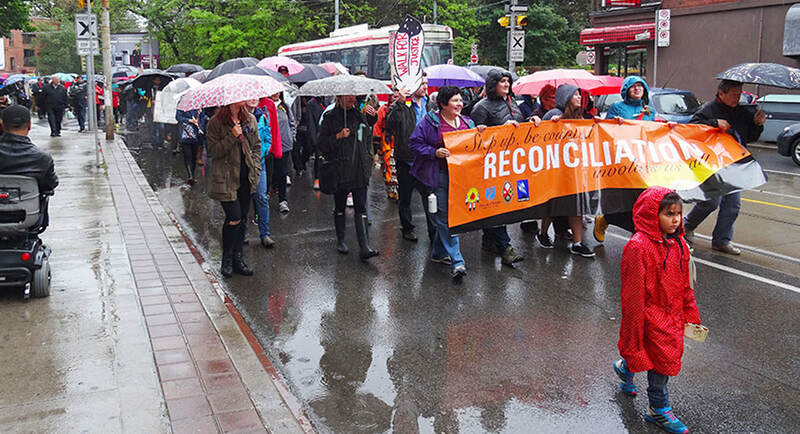 At the same time much has happened over these 5 years and the Toronto Aboriginal community will continue to decide what remains relevant to the needs of the community and what new challenges and opportunities need to be addressed. The goal of the Community Scan Summary is to highlight significant milestones over the past 5 years that have had (or will likely have) a direct or indirect impact on Toronto’s diverse Aboriginal community. Taking inventory of large events and meaningful engagements; policy reports, statistics and data; and by looking forward to opportunities that will influence our community, allows us to consider our shifting landscape informs the future work we do together. The TASSC Community Scan Summary is meant to be a “living document”. This means that the Summary will be continually updated to ensure inclusivity of relevant research, policy initiatives, and engagement outcomes. We hope that our Toronto residents will assist us in the constant revision, improvement, and updating of this Summary so that we will always be learning from each other. The target audience for the Summary is Toronto’s Aboriginal community. An interactive visual presentation will accompany this scan and be made readily available for all community members, government, funders, businesses, and Toronto citizens. The full TASSC Community Scan is also available for anyone looking for the a more comprehensive look at the research, events, and policy initiatives highlighted in this summary. Much of the information contained in the TASSC Community Scan reflects the diverse, honest and direct voices of our community. These insights cannot be found in other urban areas and are unique to this community. We continue to look forward to working with our Aboriginal community and stakeholders. In sharing our knowledge and expanding our impact to support the socio-economic and cultural wellbeing of Toronto’s vibrant Aboriginal community. Forgotten Voices is a research study for Aboriginal LGBT*QIA (lesbian, gay, bisexual, transgender*, transsexual*, gender diverse*, queer, intersex, asexual) and Two-Spirit Indigenous youth who are homeless or at risk of being homeless in Toronto. No Indigenous population is more at risk for homelessness than sexually/gender diverse or two-spirited youth. A profile of homelessness in Toronto reveals 20% of the homeless population identifies themselves as Aboriginal. What’s more, 15-25% are Indigenous youth, and 23% of these youth are sexually diverse youth trying to sort out how they see themselves and their identities. Some might be bisexual or asexual, and others might be two-spirited. But what spectrum identified Indigenous youth in Toronto have in common is the fact that no one knows anything about their everyday lives, needs, frustrations, desires, and aspirations. We know that Indigenous youth are prone to homelessness and inadequate housing because of poverty, familial breakdowns, mental unwellness, addictions, unsafe jobs and unemployment. Oftentimes shunned or kicked out of their families, sexually and gender diverse Indigenous youth come to Toronto from places they felt unsafe and marginalized, only to find themselves emotionally drained, financially tapped out, and forgotten in a big city that forgets easily. Hearing their stories straight from their hearts and mouths is helping us all learn about living together in Toronto.